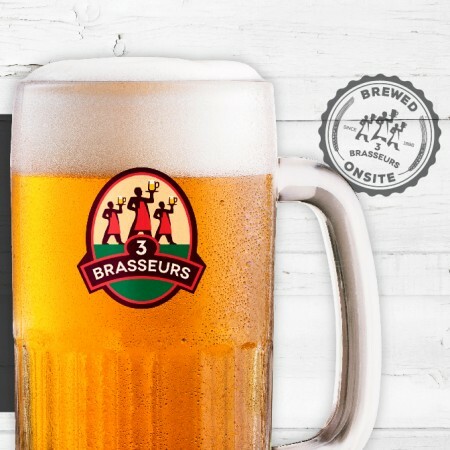 MONTREAL, QC – Brewpub chain Les 3 Brasseurs/The 3 Brewers has announced details of its latest monthly rotating feature beer, this one a seasonal favourite that has returned for Oktoberfest celebrations. Oktoberfest is a celebration a beer lover can’t miss, and The Munich is our very own interpretation of a Märzen. It is characterized by a medium body, a malty flavour, and a clean dry finish. the noble hops give it a delicate herbal flavor with subtle hints of black tea & wood. The Munich is on tap now until October 1oth at all Les 3 Brasseurs/The 3 Brewers locations in Quebec and Ontario.